It is likely you will need to take multivitamin supplements regularly over your lifetime. 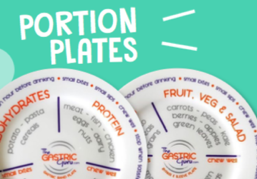 Depending on which bariatric procedure you have, the changes to your stomach and gastrointestinal tract can leave you vulnerable to nutrient deficiencies, as less nutrients are absorbed in the digestive process. How likely you are to experience nutrient deficiencies depends on your type of WLS procedure. For instance, while the gastric band only limits the capacity of the stomach to hold food and drink, the gastric sleeve and Roux-en-Y gastric bypass (RYGB) are ‘malabsorptive’ which means they both restrict and limit nutrient absorption. If your procedure is the malabsorptive type then you must take extra care to monitor your nutritional intake. Deficiencies can occur for general reasons such as poor diet, morbid obesity, aging, pregnancy or other health issues. The types and amounts of nutrients we need over a lifetime varies for people of different ages, gender and activity levels. Some bariatric procedures will limit your body’s ability to absorb enough nutrients which means you will need to monitor your levels of vitamins and minerals. A significant deficiency in any or all of these nutrients can slow down your recovery process and might lead to conditions such as anemia and osteoporosis in the long term. 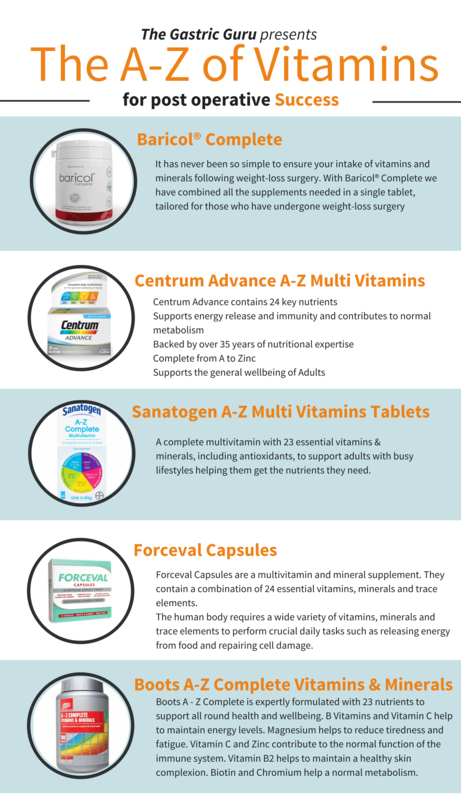 Bariatric surgery patients are at a higher risk of nutrient deficiencies and often need to take multivitamin suppliments on a regular basis to maintain optimum health.